“When you go home, say this to them of us, we gave our today for your tomorrow” Summerfield School is perhaps the only CBSE affiliated private public school in the country which has for the past 25 years taken care of the children of our brave men in uniform. The Bravehearts and Veerangana hostels for boys and girls house, besides civilians, about 100 sons and daughters of the martyred, disabled and serving and retired soldiers of the Indian Defence Services and Paramilitary forces. Summerfield School was founded in the year 1987 as it was felt that there was the need to establish in a rural area, a CBSE affiliated institution that would provide quality public school pattern education. 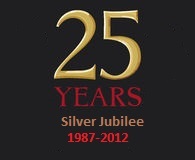 The school proudly celebrated 25 years of its existence in 2012. 20 batches of class X students and 8 batches of class 12 students have passed out successfully bringing laurels to this institution. Students of Summerfield are doing well for themselves in the fields of Medicine, Engineering, Armed Forces, Industry and Services in India and abroad. The school is administered by a team of retired army officers. The School Managing Committee consists of eminent educationists, doctors, servicemen, industrialists, teachers and parents. The school is affiliated to the CBSE, New Delhi up to Class-XII.